Kudos to Shawn Landres and Steven Cohen! Many synagogues feel threatened by the minyanim, and in some cases have tried to adopt their approach, but with only limited success. Younger Jews have spearheaded changes before in American Jewish life, including forming small fellowship groups in the 1960s and 1970s called havurot. Havurot were lay-led communities like the minyanim, but they were more countercultural, said Sherry Israel, chairwoman of the board of the National Havurah Committee. The minyanim are largely urban. They range from the 200 people who show up at the 9 a.m. Saturday service at Kehilat Hadar on the Upper West Side of Manhattan to the 30 or so who attend Na’aleh’s Friday night worship in Denver. Kehilat Hadar’s e-mail list, however, has about 2,800 addresses, a sign of the transience of the young Jewish population in the city and the high level of interest. Couples have met at the minyanim, but their leaders say the worship services are not singles’ socials. Music permeates the services, everyone is encouraged to sing and the melodies change frequently to keep things fresh. The fact that women at the minyanim can lead prayers and read the Torah is central to their popularity, including among those raised in the Orthodox tradition, which limits women’s participation in services. The minyanim have attracted young people who are well schooled in Judaism. A flowering of Jewish day schools in the 1980s produced a generation with a strong Jewish education and “the cultural wherewithal to create their own institutions,” said Steven M. Cohen, a professor of sociology at Hebrew Union College-Jewish Institute of Religion. Many realized they could lead their own services after doing so through their college Hillel programs. Tikkun Leil Shabbat draws Reconstructionist Jews, Orthodox Jews and everyone in between, so it, like other minyanim, developed practices that respect people’s traditions. For instance, its once-in-three-weeks services alternate between one with circular seating and a more traditional service, in which the chairs face east and the singing is a cappella. The biggest challenge, minyanim leaders said, involves getting lots of people to participate, while ensuring that the liturgy is celebrated competently. Rabbi Elie Kaunfer, who co-founded Kehilat Hadar when he was a layman, started an intensive eight-week course this year in New York, Mechon Hadar, to train those who want to lead or better participate in minyanim. D.C. Minyan has undertaken a campaign to equip more people to be able to read the Torah at services. Many minyanim offer tutoring to those who want to learn to lead services. The first time she led morning prayers at D.C. Minyan, Lilah Pomerance said, she shook like a leaf. A survey that Mr. Landres has undertaken with Mr. Cohen and Rabbi Kaunfer indicates that rather than taking young Jews out of the synagogue pews, they are taking them out of their beds on Saturday mornings. Rabbi Edward Feinstein is one leader of a traditional synagogue who applauds the development of the minyanim. Some synagogues have created programs to draw young people, but they are often poorly done, underfinanced and come across as big singles’ mixers, Mr. Landres said. The minyanim are noticing that some of their worshipers are getting older, and it is unclear how they might evolve as participants have children and move to the suburbs, said members and experts on the movement. The answer may be found in the likes of Shabbat in the Hood, a minyan that draws 55 to 70 worshipers to peoples’ homes once a month in Leawood, Kan., a suburb of Kansas City, Mo. 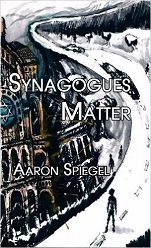 Worshipers belong to local synagogues. This is “the soccer mom set,” with lots of children around, many of them encouraged to lead prayers, said Marla Brockman, the lay coordinator of the minyan.